The church of St Nicholas in Barton-le-Cley is situated in Church Road, a cul-de-sac leading south from the B655 Barton to Hitchin road. The church is on the south side of Barton in the lee of the Barton Hills. 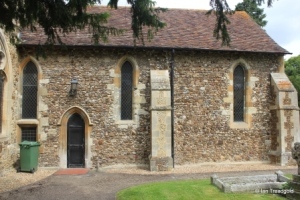 Most of the church dates from the C13 and C14 although there is some remaining masonry in the nave that dates from C12. 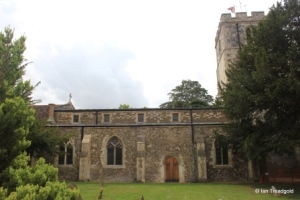 The church consists of a chancel, nave with north and south aisles and a tower to the west. The layout of the church is not entirely regular probably resulting from the original nave and chancel being laid out slightly unevenly. As a consequence, the present north wall is about a foot shorter than the south. The overall dimensions are approximately 92 feet in total length with the chancel being around 34 feet by 16 feet. The nave is some 55 feet long and 18 feet wide with the two aisles adding about 8 feet each side. The east window of the south aisle is a two-light window with modern tracery. 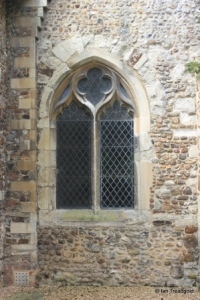 The south wall itself has two two-light windows with modern tracery in C14 style. The south door is to the west of these windows and there is no porch. The clerestory above has no battlements on either north or south sides and holds four square-headed windows on both sides. 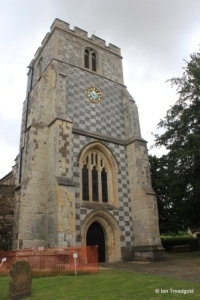 The west tower is decorated in a chequerboard style and dates from the C15. 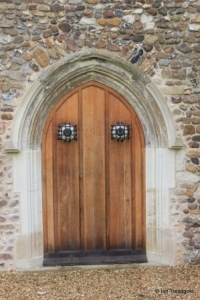 The west door and west window are closer together than would normally be expected to allow for the second stage of the tower to have been used as a living room of sorts. This room opens to the south of the tower through a large arch or window which may have been used for the installation of the bells or as access to the room via a ladder. 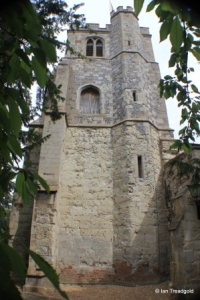 The stair turret is in the south east corner of the tower accessible only from within the church. 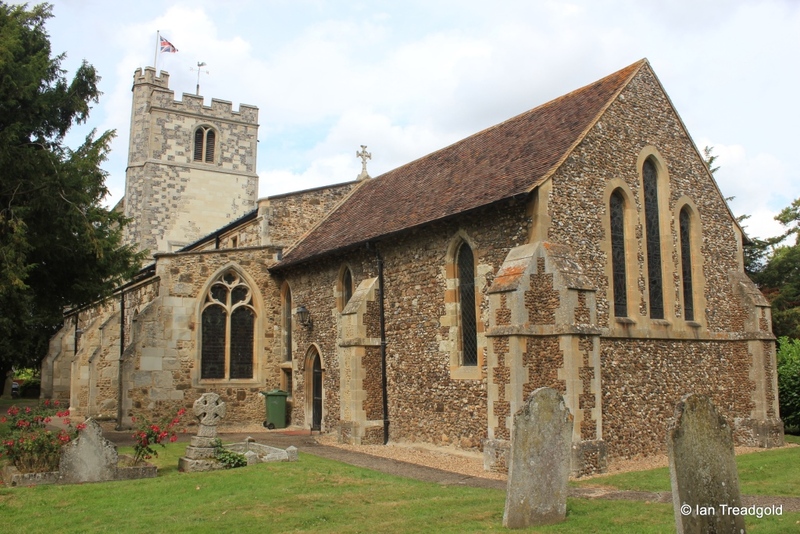 The tower has a peal of eight bells, some dating from the C20 but three from the C17 and C18. 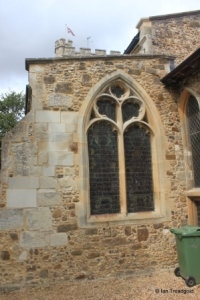 The north wall has three windows surrounding a now blocked north door. 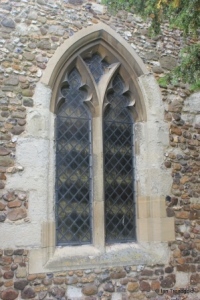 The western two-light window has modern C14 detail. 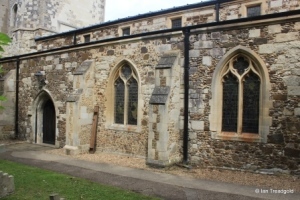 To the east of the door and in the east end of the north aisle are three windows. The window in the east end is of 1350's origin whilst the other two are more modern copies. The original vestry on the north side was demolished during the 1879 restoration works with its more modern replacement further west near the tower. 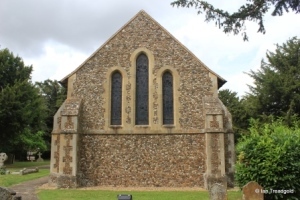 The east window of the chancel is of three single lights with six similar windows in the sides of the chancel. 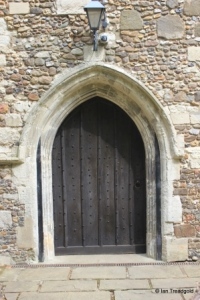 On the south side is a priest's door close by a further small low window under the third of the chancel windows on this side. Page last changed 02/09/2014. Page reformatted 10/08/2015.